The 2014 Tippeligaen was the 69th completed season of top division football in Norway. The competition began on 28 March 2014, two weeks later than in the previous season. A three-week summer-break in June was scheduled due to the 2014 FIFA World Cup, and the decisive match was played on 9 November 2014. The league was contested by 16 teams: the best 13 teams of the 2013 season, and the 14th-placed Sarpsborg 08 who won the relegation-playoffs against Ranheim, in addition to Bodø/Glimt and Stabæk who won promotion from the 2013 1. divisjon. Rules for classification: 1) points; 2) goal difference; 3) number of goals scored. 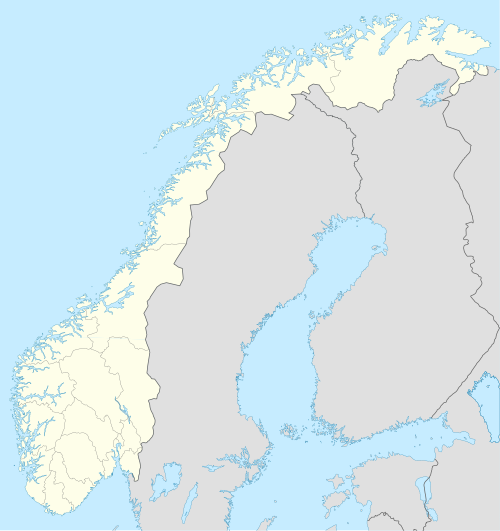 ^ Since the winners of the 2014 Norwegian Cup (Molde) qualified for European competition based on their league position, the berth (Europa League first qualifying round) was passed down the league to Strømsgodset. The 14th-placed team, Brann, took part in a two-legged play-off against Mjøndalen, the winners of the 2014 1. divisjon promotion play-offs, to decide who would play in the 2015 Tippeligaen. Mjøndalen won 4–1 on aggregate and gained promotion to the 2015 Tippeligaen; Brann were relegated to the 1. divisjon. Updated to games played on 9 November 2014. ^ a b c "Statistikk Tippeligaen 2014". nifs.no (in Norwegian). A-pressen. Retrieved 10 April 2014. ^ a b c d "Tabell Tippeligaen 2014". nifs.no (in Norwegian). A-pressen. Retrieved 1 May 2014. ^ Andersen, Gorm S. (15 November 2013). "Tippeligaen starter 30. mars i 2014". Dagbladet (in Norwegian). Retrieved 19 November 2013. This page was last edited on 10 April 2019, at 07:31 (UTC).